After the rain. 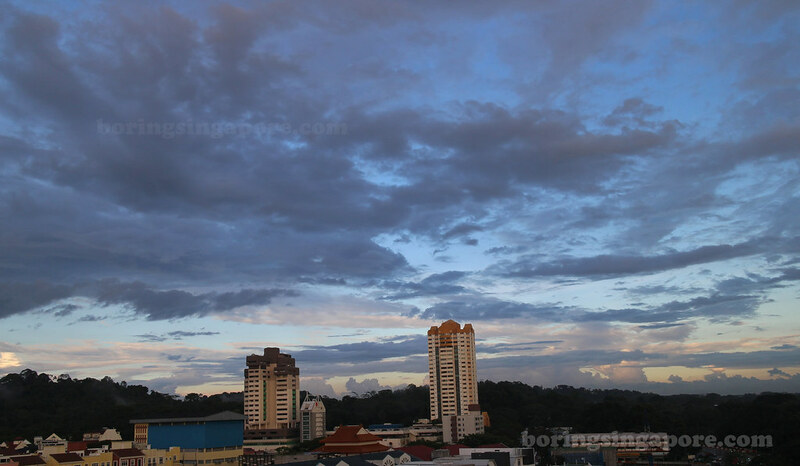 When it rains, and the rain stops just before evening, we are guaranteed a very colourful sunset. No edits. This was what it was. This boring city does have artistic people. 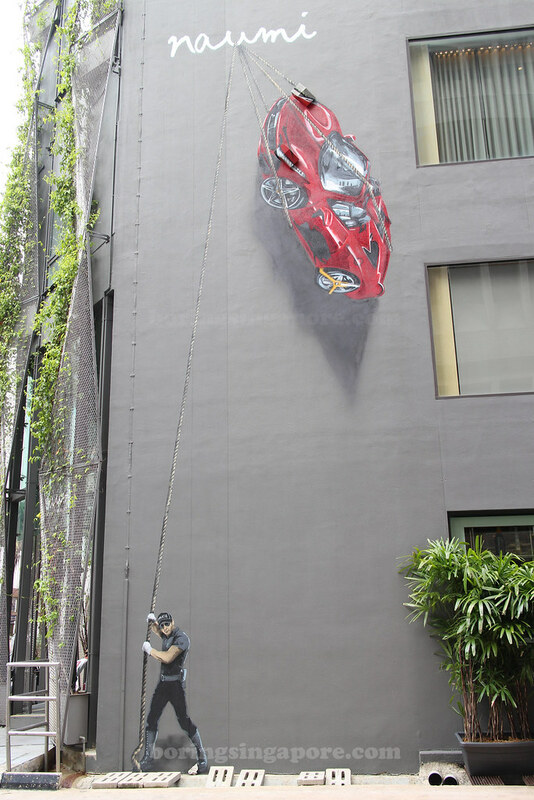 Reminds me of a similar one on Sixth Avenue, the OCBC Bank mural. Many people have obsessions with knives. I have this guy friend from Penang who is quite a knife collector. Some of us will avoid him when he's doing his acrobatics stunts with knives. I also have many friends who loves cooking and love a good set of knives. So many brands to choose or rather so many brands to covet! This was at a WMF event, where we got to preview the new Performance Cut Chef's Edition Knives. So beautiful isn't it? We got to use the knives and it made us really covet this set. Call us all materialistic, it's ok.
A sharp sturdy knife is a safe knife. 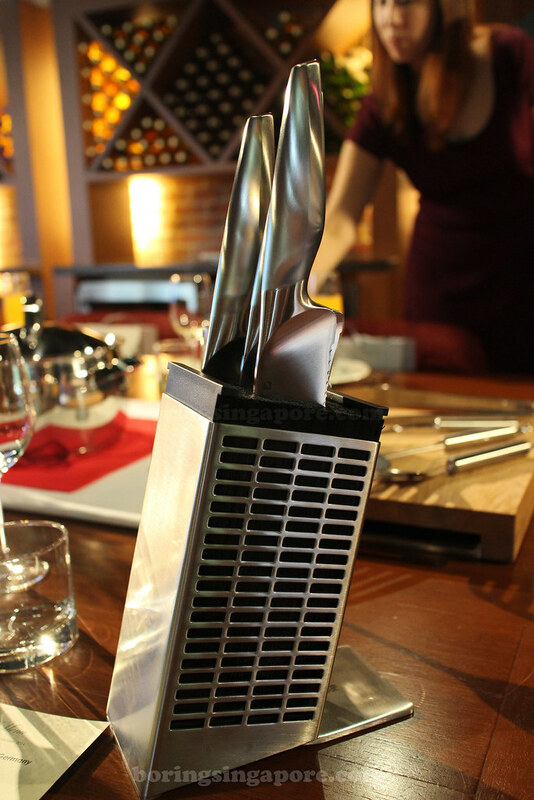 This set of knives has been launched in Singapore the week before Christmas in Singapore. How can you be bored, when you have a good pair of knives and you can cut and make artistic food sculptures?